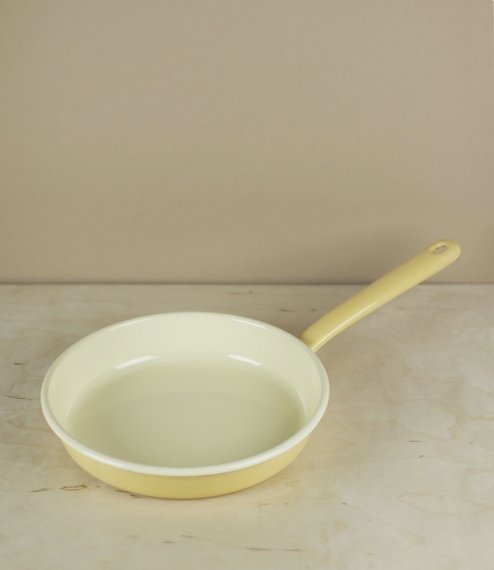 A blue and cream 20cm, or golden yellow and cream 22cm enamel omelette pan suitable for all heat sources, even induction. Perfect omelettes every time! From the Riess enamel works in the Austrian alps, which drawing power from its own hydroelectric plants, provides a model for sustainable industry.